In nature, color has a significant role to play on how we feel about objects, and different colors have even been adapted by various plants and animals to create warnings or invitations. Even for people now, different colors, and combinations of colors, have an ingrained effect on our psyche and have an effect on our emotions. It is important to take these effects into account when creating logos to make sure that your logo sends out the right message. Getting the colors right is also important where aesthetics is concerned, and simply looking good can make all the difference. Using the wrong combination of colors can create unsightly contrasts that make your logo unattractive. They can also send out the wrong signals, making a negative impact subliminally. One very effective tool for helping you to get the right color combination is the color wheel. First created in 1666 by the legendary scientist Sir Isaac Newton, the wheel makes it easy to select compatible color combinations. For example, take anyone color on the wheel, and then select the one directly opposite it. This will create a complementary color combination. Take a look at a selection of well-known corporate logos and you will see that this combination is among the most commonly used. Another popular option is the analogous color scheme. This is achieved by selecting colors that are directly next to each other on the wheel. Other compatible combinations include triadic, rectangular and split complementary, all of which are fairly common arrangements in corporate logo design. Selecting the right combination of colors is an important step, but not the only consideration. Overdo the usage of complementary colors and you can find that there is too much contrast, creating something that is unpleasant to the eye. With analogous colors, however, the opposite can be true and there may not be enough contrast to help your logo stand out. To help prevent this from happening, you should try to choose one color from your selection to be the dominant color. The other colors from your selection should then be used to complement the dominant color. If you are new to using a color wheel and lack experience in knowing which colors to choose, a split complementary scheme will help ensure you get a perfect balance. This involves selecting two colors with a space between them on the wheel, and then selecting a third color that is opposite the color in between the first two you selected. When somebody looks at your logo, the colors that you have chosen help to influence how they feel about it. For an energetic, vibrant feel, you should look toward using colors on the warmer end of the spectrum, such as reds and yellows. If you are looking for a calmer, more conservative feel then those colors at the cooler end of the spectrum are what you need. 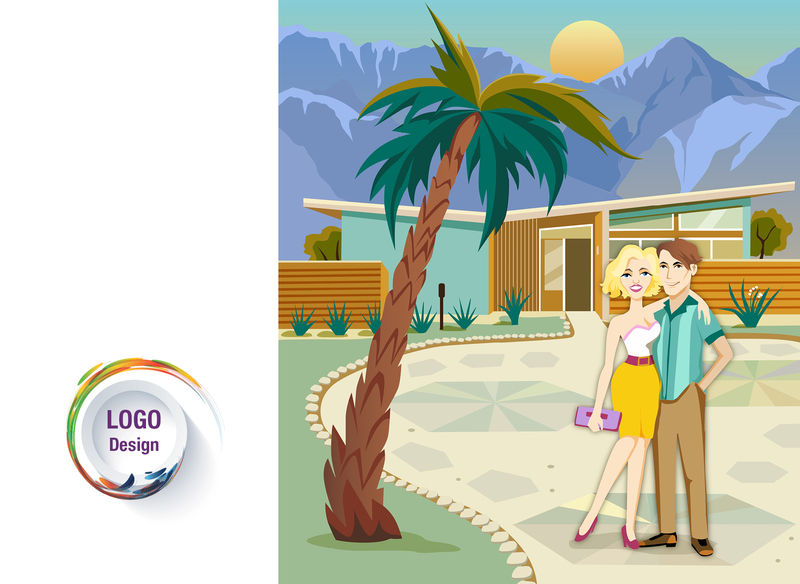 Which you choose would depend on the branding for the company the logos are being designed for. Certain colors tend to be associated with certain business sectors. Reds are often used by fruits in nature to alert passers-by to the fact that they are ready for eating. As such, it is a color that helps to stimulate appetite, and many fast-food restaurants have taken advantage of this. Orange generates a warm, welcoming feel and are also often used by fast food chains to try and entice people inside. Blues tend to be associated with more conservative, professional sectors such as finance, and so on.Although these color trends should be taken into consideration when branding, it might be advisable to steer away from standard uses at times in order to stand out. We’re fortunate now that color can be used easily in media, but there was a time when only shades of black and white were available. The contrast that these two colors offer can be used to great effect, as some of the world’s most famous logos have done just that. While logo design does take a great deal of skill and experience to perfect, there are some guides that can help even novices to get some aspects just right. Use a color wheel to help you select the color scheme for your logo, and you are already part of the way toward creating an award-winning logo. What are the top benefits of good business reputation?